Really, it's just a part of our process. We're aware we have work to do, and this is the way we're going to do it. I trust Norv and Ryan's judgements, and we're going to get better working as a unit. I think at the end of the day we have to play to the strengths of this team and this offense. I've got full faith in Mitch, I know we've got a really strong backfield and a nice receiving corps. Of course there's still work to do and improvements to be made but I'm very happy with our preparation and have total confidence in this offense to deliver this season. So, I'm not going to give everyone our gameplan obviously but we will be playing to the strengths of the key components of our offense and I think Bears fans should be excited to see what we can deliver on game day. I think we're looking good. We've introduced some new concepts to the guys which they're adjusting to, but they're coping well. They ran a 3-4 system last year and we've moved away from that, but my basic concepts remain. We're gonna' play aggressive, smart and physical defense. Roquan's really impressed me so far, and Adrian appears to have adapted really well to what we'll be asking of him this year. We're working to what we're good at, and I think everyone that comes to Soldier Field will be in for an experience on our side of the ball this year. In advance of the pre-season games against the Bengals, Broncos, Chiefs and Bills, Coach Nagy and his staff also made three key acquisitions. Firstly, full back Freddie Stevenson was re-signed, having been allowed to leave by the former administration in 2017. It is believed that Kubiak sees full backs as having an important role in his running game, perhaps a throwback to a bygone era. On the defensive side of the ball, defensive end Johnathan Hankins was signed from free agency. Hankins played for the Colts last season, and can play both defensive end and tackle if required. With Jonathan Bullard the only real option on the right side of the defensive line, a fair prediction is that we'll see Hankins and Akiem Nicks as the edge rushers in Charles' system this season. However the biggest decision made by the Bears front office this pre-season was the decision to trade middle linebacker Danny Travathan. Travathan was traded to the Miami Dolphins along with a 7th round pick for offensive lineman Ja'wuan James - who enters this season in the final year of his contract - and a 2019 6th rounder. Some elements of the Bears faithful weren't entirely pleased with the decision to trade one of the team's top players, but it provides Kubiak's offense with a key lineman required to protect Trubisky, and frees up the MLB spot for Roquan Smith to sink or swim in the NFL. What's more, closer analysis of Travathan's two seasons in the Windy City also shows a declining amount of games started. Old faithful. 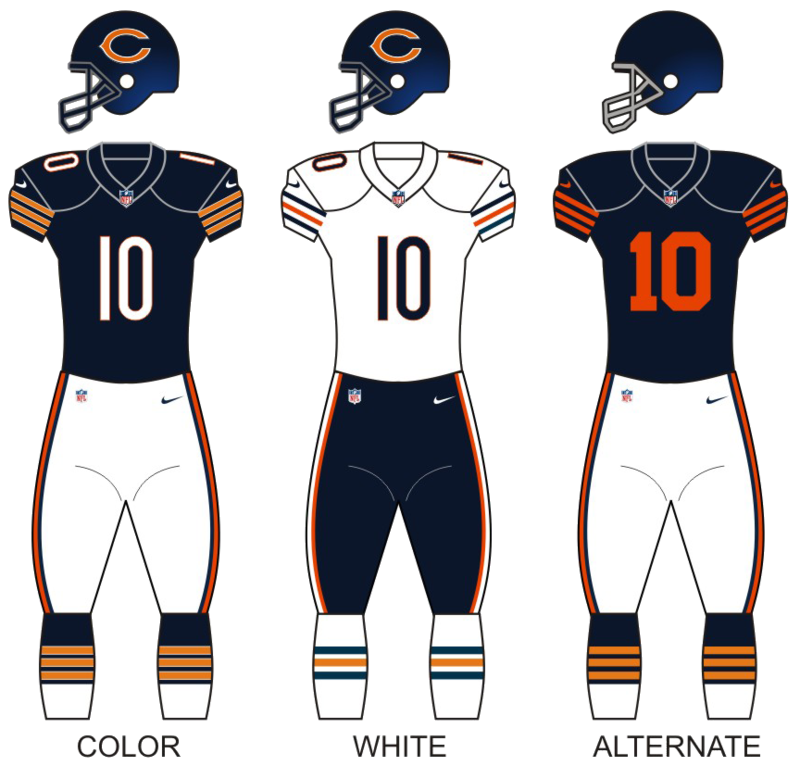 The Bears uniforms for this season - and most. When it comes to the pre-season itself, the Bears were up and down in terms of results. They began their pre-season against the Cincinnati Bengals - another team that will be hoping for improvements this year - and came away from Ohio with a 14-12 victory. However, the Bears then followed that good performance up with 3 straight losses to the Denver Broncos (19-13), Kansas City Chiefs (44-20) and the Buffalo Bills (45-17). Whilst Bears fans likely wouldn't have expected the team to defeat the Chiefs, the difference between the two teams was astounding, and the defence just gave up far too many points, plain and simple. On top of that, the performance against the Bills was poor across the board, and that simply cannot happen in the Regular Season. However, what was really highlighted by this year's pre-season is the worrying lack of depth that Chicago have, and this is something that Nagy and his staff will need to address quickly either through trades or the draft, because whilst the Bears may get away with it for one year, it will certainly catch up with them. 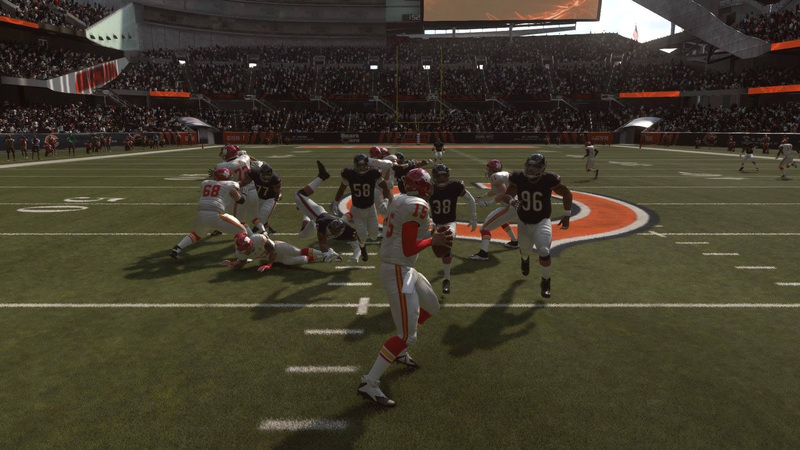 Most games saw the Bears doing well through the first 2 quarters, before being blown away as their reserves came in, with the offense turning the ball over with Chase Daniels under centre, and the defense failing to do much of anything against the opposition offensive line. 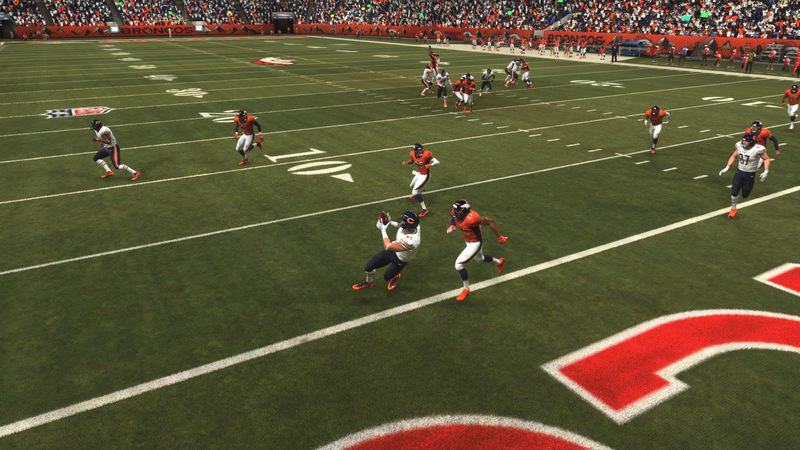 Mitchell Trubisky finds TE Trey Burton for the score against the Broncos in Week 2 of the pre-season. Expect to see this connection a lot this season as the offense looks to improve from last season's poor showing. Roquan Smith, Adrian Amos and Akiem Hicks close in on Patrick Mahomes out of the 46 formation in Week 3. The 46 looked promising with the '1s' and should give QB's a nightmare this year as the Bears look to become a top level defense in the NFL. Now, it's time to move on to the Regular Season for the 2018 Chicago Bears. Week one sees the Bears face the Packers and Aaron Rodgers at Lambeau Field, in what will certainly be a big test of Nagy's staff, and how the Bears perform on offense and defense under Kubiak and Charles. We'll have coverage of the opener posted immediately after the game.